Joker is a ‘Princess 56’ Motor Yacht. 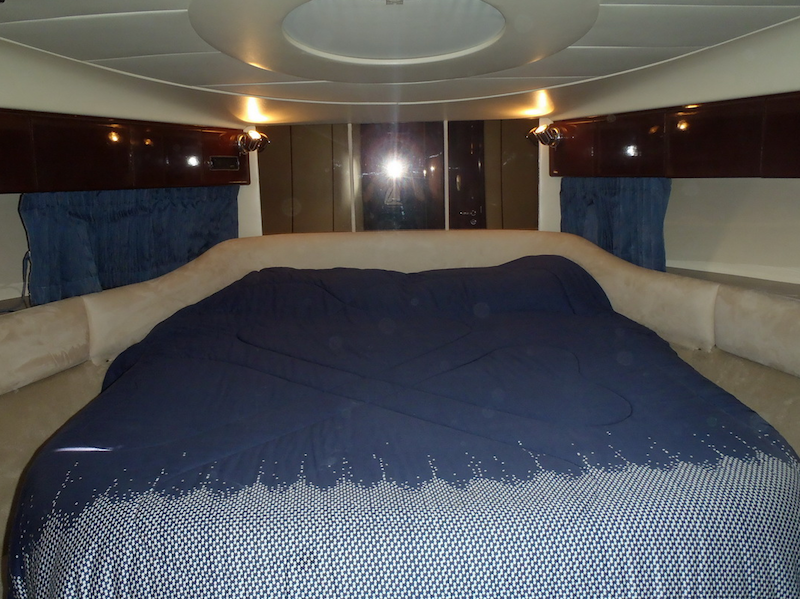 She is a seriously luxurious 5 star vessel. 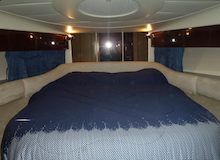 Joker is available for overnight charter with her comfortable sleeping arrangements. 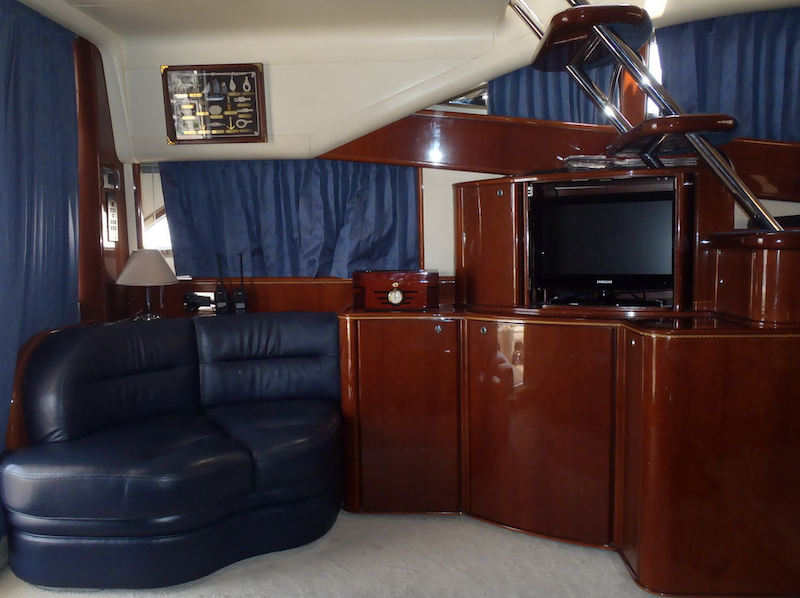 She has 3 cabins in total. The main cabin with double bed and en suite bathroom is located at the bow. 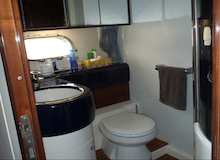 She has twin double guest cabins located port and starboard with a shared bathroom. 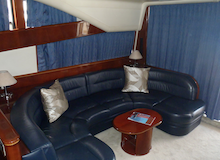 The deck lounge features a U-shaped sofa and coffee table to starboard. 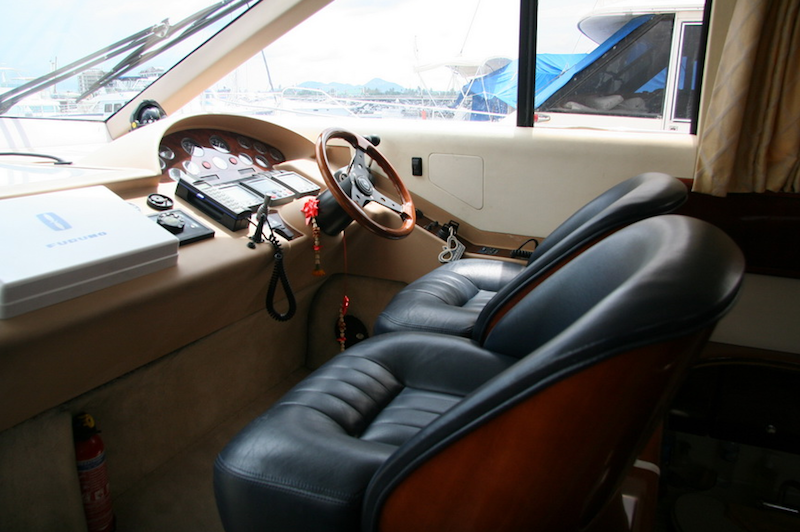 The interior woodwork is in natural cherry with the helm console in Burr Elm panels. 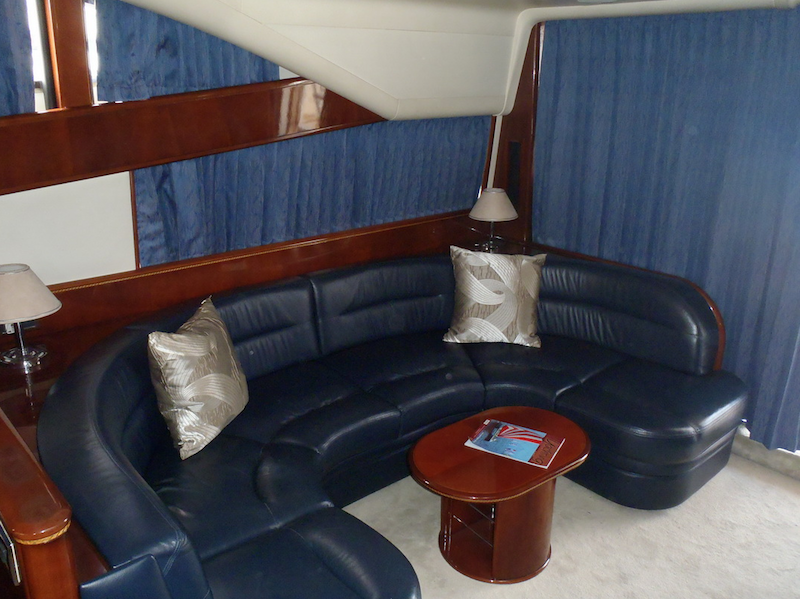 Blue leather upholstery and cream coloured carpets. The delightful dining area has a large table with comfortable chairs. 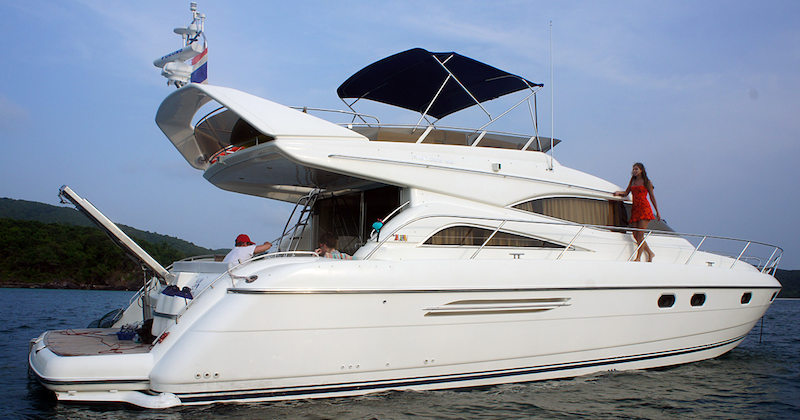 The entire boat is fully air conditioned. The flybridge deck again has very comfortable seating arrangements and is an excellent vantage point to see the your chosen destinations from. 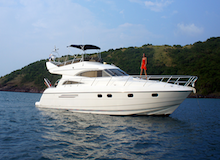 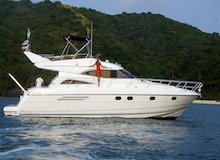 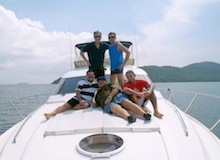 Enjoy a full day cruise to destinations of your choice on Pattaya’s most luxurious Motor Yacht. 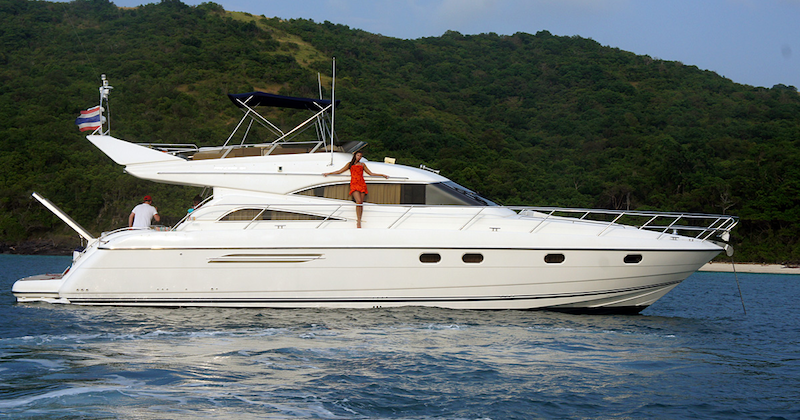 This is a full 8 hours private charter where you will enjoy activities such as fun fishing, snorkeling,swimming and simply relaxing on-board this spectacular vessel. 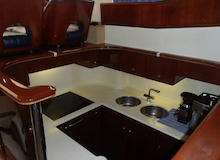 Exquisite cuisine and a range of drinks will be available.